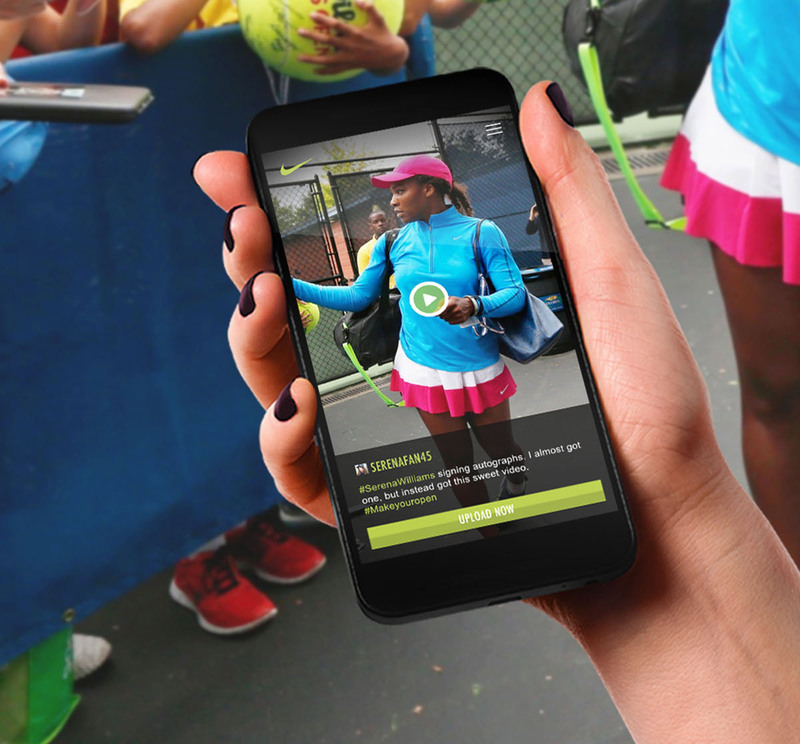 Nike wanted to use social media as a means to connect fans of the 2012 US Open Women's Tennis and leverage their relationships with athletes such as Serena Williams and Maria Sharapova. Every experience has its moments: inspiring, exciting, and sometimes transcendent. These moments happen every day during the U.S. Open—but we only get to see it from angles covered by the mainstream media. 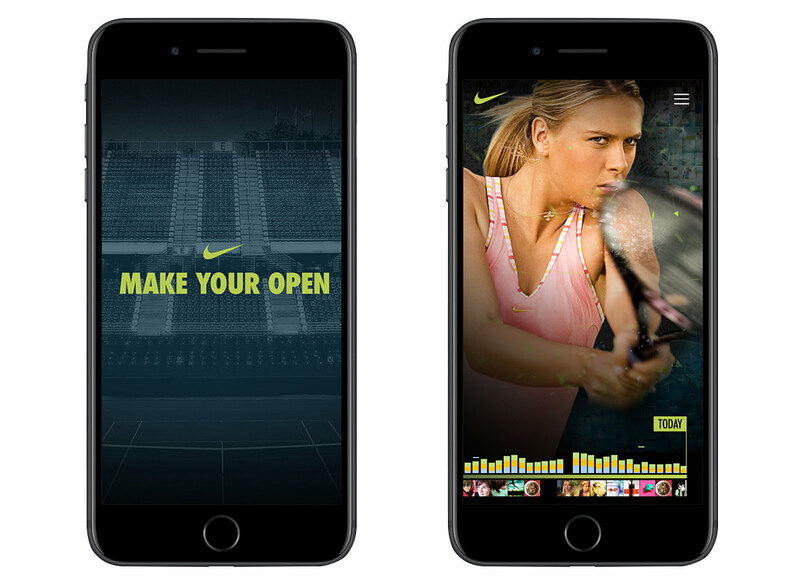 Now, with the power of Nike and social media, everybody gets to make the Open—and we’ll see it for the first time from every angle. Let’s make our own record of the great U.S. Open moments, starring US. 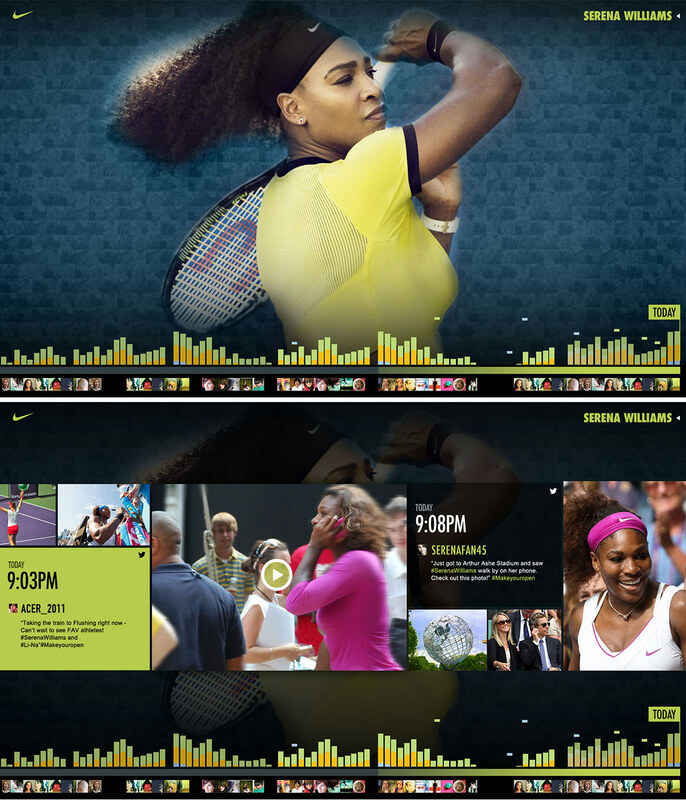 After selecting an athlete, the user is able to see in real time, a visualized feed of social media buzz surrounding them. 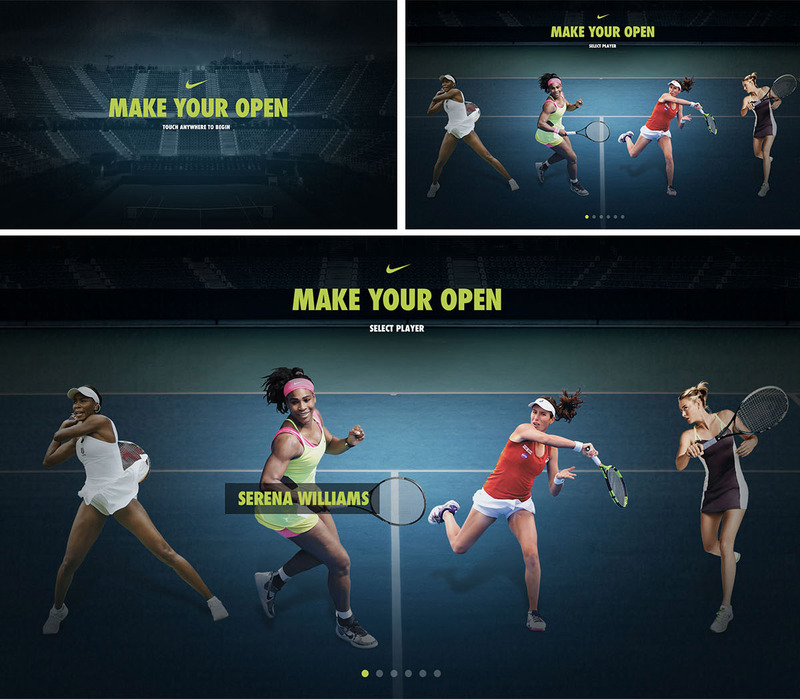 Through Facebook, Instagram, or Twitter users can hashtag #makeyouropen to add content to the feed. This can also be done by downloading the Native APP.